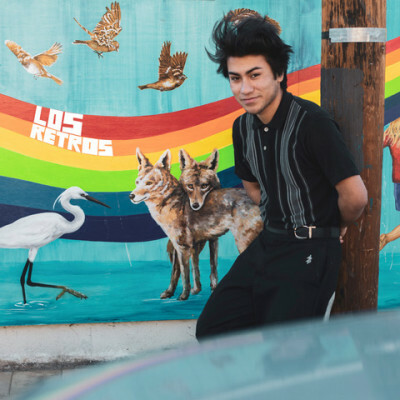 Los Retros, a.k.a Mauri Tapia, may only have just finished high school, but he’s on the brink of something much bigger. 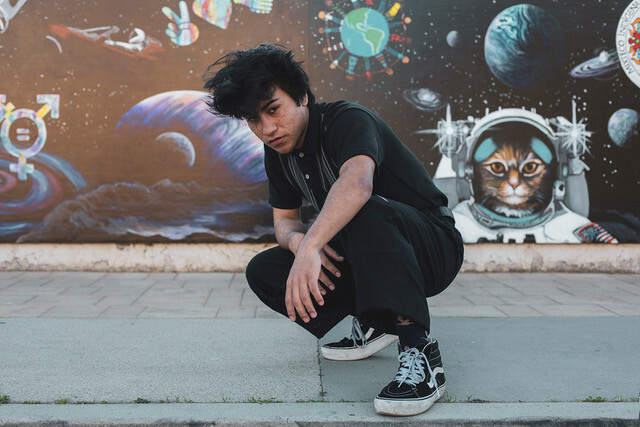 The nineteen-year-old, first generation Mexican-American musician has signed to Stones Throw and is set to release his debut EP in 2019, and will join Cuco on his West Coast tour in February. Mauri makes DIY pop full of romantic yearning. Listening to Los Retros can like you’re in the room with him as he bares his soul to you, unafraid to share his intimate reflections on life and love. Like many artists at the beginning of their careers, Mauri writes, sings and produces all his own music in his bedroom, playing the guitar, bass, keyboard and drums himself — though as he points out, his bedroom is currently the family’s living room, and recording sessions are often interrupted by his mother or little sister. A first-generation Mexican-American who grew up and still lives in Oxnard, CA — home also to Stones Throw affiliates like Madlib, Oh No, and Anderson .Paak — Mauri began playing music as a child, borrowing his older brother’s guitar when he was just eight years old. Though he was initially nervous about singing, he overcame his anxiety and discovered how powerful an instrument his voice could be. Now working in the studio with Peanut Butter Wolf, Mauri has refined his songwriting and production but still prefers to keep songs imperfect.